Subject: Adeptus Titanicus news and rumours - Epic Returns! Well I expect the box to be around £100 and it will probably have 4-6 Titans which should be convertable to both factions. It should be at least not outrageously expensive. Possibly. Maybe. Subject: Re:Adeptus Titanicus news and rumours - Epic Returns! I was at the weekender, I watched the games on both Friday and Saturday and I had a good talk with the designers, so I might be able to add some things. Lifting my self imposed forum exile to write this, because there's a lot of misinformation / omissions posted so far and I'm really excited about this game. For my gaming circle, we can pretty much all afford to invest £300 into an army, and therefore a game. But, when it comes to small scale games like AT and X-Wing, it either needs to be cheap, or seriously in depth (could of course be both. The two aren't mutually exclusive). So, X-Wing. That's most definitely a cheap game. Online you pick up a fleet for a relative pittance. The game itself is quite a quick affair - so if you've got an evening to indulge you can get quite a few games in. AT? Well, I think we can safely assume it's not going to be X-Wing cheap. And from the previews and reports, it's sounding like quite an in depth game. Here, I'm happy to shell out - because it seems I'll get suitable bang for my buck - a game will take a while to play. If it was as quick as an X-Wing dog fight, I might feel a little short changed. I can't see it being any less than AUD$100 for a Warlord. The game just won't be playable at FW prices (and FW don't double the price for Aussies). A really cool seminar going over the background of the Titanicus games (and the background of the Horus Heresy setting as well), looking at some of the older models and some of the promo shots and White Dwarf articles for the older iterations of the game (fun fact: back in the day the only way to get smoke effects into their shots was to use cigar smoke. Good to see Health & Safety wasn't always so overpowering...). We got a little insight into the new game, some of the background for it, what they're potentially including, and some insight into the modelling process for the new kits. Apparently someones been working on making the 40k scale Warlord into a AT scale and it's taken them around 2 to 3 months to complete. It's scaled so well that they've taken shots of the resultant models and without any reference for scale there's no way to determine which model is which. Apparently they're trying to do the same for the Reaver, but with it not being an existing CAD they're having to do things manually, which is a longer process. The game itself seems like a lot of fun, and seems to scale incredibly well. Apparently it can go from a single Warlord on each side all the way to around 10 or so Titans on each side and the only real impact is the time required to play it. Plus it's not following the traditional Fantasy / 40k system of 'My turn, then Your turn' but each phase is a one action followed by the other players action, and so on until the turn is finished. This keeps the game flowing without you having nothing to do for about 10 minutes whilst your opponent has his turn. I think this will be a really good system to get into when it comes out - which is still not finalised. Because it's going out in GW stores it has to fight it's way into the main GW schedule, and apparently there's already a lot lined up for the next two years which is making Titanicus problematic to schedule. I've bolded the last bit as it's worth thinking about - they wouldn't release a boxed starter set with Resin mini's, would they? Mayhap it's just thundered into the realm of broad affordability? Plastic boxed game all the way for sure. The increased scale combined with resin titans seems to be prohibitive to many possible customers. I think the choice of material used for the main forces could well make or break the game. What was the reason given for not making them in 6mm ? I cannot seem to remember..
Oh don't be so cynical, they gave us a great reason for shifting to 8mm - it's so the infantry models they're apparently not making and have explicitly stated they have no plans to make at the moment would look good. EDIT: Guys, the boxed set being in GW stores doesn't negate the existing rumour that the boxed set itself will consist only of rules, game aids, and building sprues. Look I'd love for this to be a mostly-plastic game, not least because it means I might actually be able to afford to particpate, but their first instinct was to go all-resin for the important stuff ie the actual Titan models, and the few bits of information that suggest they might be considering doing some in plastic have been pretty equivocal. Until we see either pics or utterly firm statements from GW that the main line Titans themselves will be plastic, it's safest to assume we'll be getting what was originally discussed. What I had started to type yesterday but then decided it's time to get some sleep, the Warlords will be of a similiar quality detail-wise as the 28mm scale model. It took me a few weeks but I'm now okay to buy a model this good for let's say 70 GBP/100 EUR. The problem I still have with it are all the weapon parts. These are what makes the titans expensive. I really hope they will release a plastic kit, eventually. My current plan is to buy the starter (which based on what they said in January will come with the full rulebook, including the campaign system and missions, dice, stat cards and plastic terrain) and use printed photos of titans which I will replace model for model later. I appreciate good quality models and will pay for them, but it will always be game first, models second to me. And I still play Battletech occassionally with the papercard 'models' from 2nd Ed. It works and is enjoyable. Voids do not work in melee - this might be expected. Actually, if you are within 2" your attack is within the void shield (which will always be the case in melee) so you can run up to a titan, get within 2" and unload on them directly. 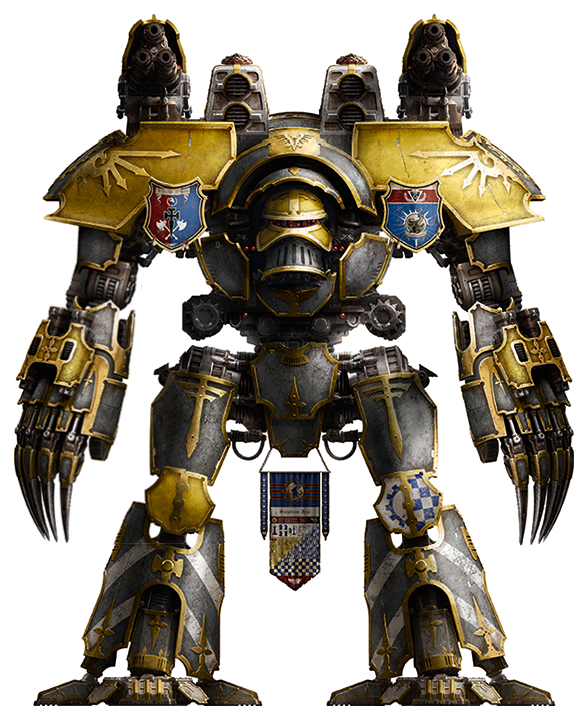 I tried this with my warhound but the Reaver went 1st and blew me to kingdom come. I got a wildfire death result which meant I shot all my guns as I died, alas this is in a random direction and I hit nothing. Totally agreed . Thanks nevaks!! I would love to be excited about this, but GW continues to disappoint with unneeded scale changes. Is it really a scale change though? They've said on multiple occasions that they wanted to get it straight because there wasn't a standard scale before. Infantry were 6mm, but titans, vehicles and flyers were all different scales because of modeling / casting limitations. So if they want to make stuff a standard scale, even staying at 6mm would have meant bigger titans. Or smaller infantry. They were going to upset people either way. Just home from the weekender. Certainly didn't get the vibe that many have here. I think we'll maybe get a core box set in plastic, if GW can have their arm twisted to produce it. I think any titans on top or upgrades are likely to be resin though. I asked about the command slates and if they would come in the box with a new titan or if you would buy them seperately, they hadn't come to a conclusion but I suggested in the box would be best. Also, the playtester told me that a warlord with two power fists is hilarious. Looks like a really fun game.. hopefully I remember to play it in 2021. So if they want to make stuff a standard scale, even staying at 6mm would have meant bigger titans. So why not stick to 6mm then? Bigger titans are fine. I was aware of Epic vehicles being out of scale, and I switched to the DiD stalker, which is a fair bit bigger than the Lucius warlord. (The model that hooked me on Epic) Even if they do just stick to a handful of titan models, I'm with Elbows: the 8mm scale change seems like it's to mess with the people who supported Epic after GW (and all the players who can't do without GW's say-so ) dumped it. "I am not altogether on anybody's side, because nobody is altogether on my side, if you understand me..."
"...with a bit of imagination (remember when we used to have to use that in fantasy games?)" If they can achieve better model sculpts at 8mm than 6mm, then I'm all for it IMO. the 8mm scale change seems like it's to mess with the people who supported Epic after GW (and all the players who can't do without GW's say-so ) dumped it. You assume that GW understands what scale is :p 40k/AoS scales are wildly different nowadays on a random basis it seems. As in you'll not do much shooting but people will hate being near you. Also ursax claws were in and I asked if the game is basically over once your main princeps guy dies (essentially you are that guy). They didn't think it was necessarily over at that point but you would lose some benefits. Changing the scale is completely understandable. Why bother releasing stuff that lots of your target audience is likely to have lying around in boxes somewhere? It does them absolutely no good to give people rules to play with things they bought off them decades ago. I'd love them to produce the rules in a similar style and qaulity to the Aeroatutica rule books - they were lovely. Regarding the 8mm. FW scaled the Warlord and other titans to a size they considered good for modelling, painting and playing. Then they used what measures they found regarding Titan sizes and scaled 'infantry' (whatever that means - Orks? IG? Marines?) accordingly, ending up with ~8 mm for an infantry model. It is not even certain there will be models for these anyway. Seriously people, I know that wasn't necessarily the final model, but if it IS the size shown in that pic, or close to it... I will be over the moon happy!! What base size would you say that Warlord is on, dreadnought (60mm) base? Changing the scale isn't going to stop groups who have a bunch of the old stuff from...using their old stuff with the new rules - if they even need to do that! If it makes you feel any better, I am currently flogging off my 3rd and 4th edition Epic collection to ... make room for this! Quick question- when is this version of Titanicus set? Last one was Armageddon wasn't it?